These are our absolute favorite brownies. They are rich and chocolately with a definate bite. Pair them with vanilla ice cream and hot fudge sauce and in you're in for a real treat! The mint brownies are always the first to go when I've brought them to a party. 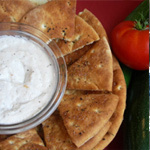 It is a must-try recipe! 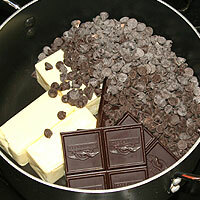 In a large pot over medium heat melt butter, semisweet (the first 12 oz), unsweetened, and bittersweet chocolates. 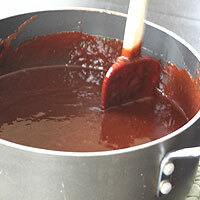 Stir consistently and don’t leave unattended, chocolate can burn easily. When everything is melted remove from heat and cool five minutes or so. In a separate bowl add eggs, sugar, and vanilla. Add to the melted chocolate. Stir. Let mixture cool to room temperature about 20 minutes. Preheat the oven to 350. Butter and flour a jellyroll pan. Set aside. In a separate bowl add 1 1/4 flour, baking powder, and salt. Stir completely to distribute ingredients evenly and to get rid of any lumps of flour. Set aside. 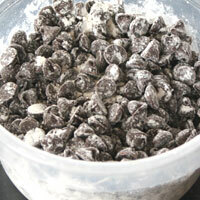 In another bowl mix the last 12 oz of chocolate chips with the 1/4 c flour. Set aside. Add the first flour mixture to the chocolate mixture. Stir until flour is just incorporated. 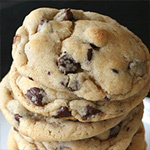 Add the chocolate chip and flour mixture and stir until just incorporated. Pour into prepared pan and bake 20 minutes. Open the oven and hit the pan against the oven rack to settle the bubbles. Bake an additional 10-15 minutes. The top should be crackly and the middle just set. Do not overbake! Remove from oven and place on a cooling rack. Cool completely. You can slice and serve at this point or continue on with the glaze. The middle should be solid, but just barely so. If it is still wobbly after the allotted time, bake an additional 3-5 minutes. These brownies lose their flavor if even slightly over-baked. Be careful to avoid this. 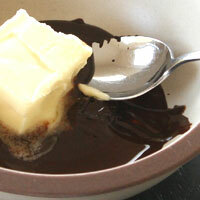 Melt chocolate in microwave for one minute. Stir and microwave 30-60 seconds more. Add butter and stir until smooth. Cool until slightly thickened. Spread on brownies. It will be a very thin layer. 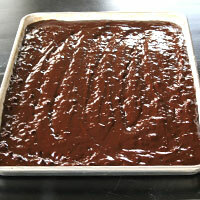 If the brownies are hot, the glaze will melt into them making them a gooey mess. 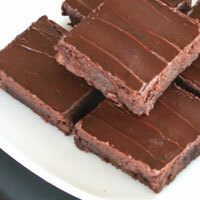 If the brownies are cold, the chocolate will harden too fast and be hard to spread. Room temperature is ideal for spreading the glaze. Slice and serve. Refrigerate extra brownies up to one week. Freeze up to six months. Melt chocolate in microwave for one minute. Stir and microwave 30-60 seconds more. Add butter and stir until smooth. Cool until slightly thickened. With an electric mixer, beat the butter until smooth and fluffy 2-3 minutes. Add the powdered sugar and beat until incorporated 2-3 minutes. Add the salt, vanilla, milk, and food coloring. Beat 2-3 minutes. 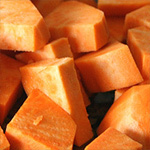 Use immediately or store in the refrigerator up to two weeks. 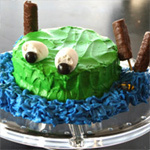 Spread mint frosting on the brownies and refrigerate uncovered for 10 minutes for the frosting to stiffen. Evenly pour the warm glaze on top and gently spread over the frosting. 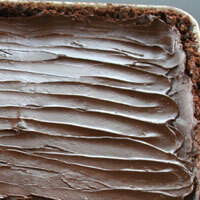 Overbaking - Chocolate is easy to overbake, and it can completely ruin it. When I have overbaked them even slightly they quickly lost their flavor and tasted like a mediocre brownie. 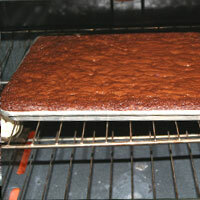 Spilling over the sides - If the oven is too hot the brownies cook too quickly and will spill over the sides. 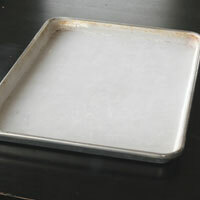 They will also do this if you don't hit the pan against the rack as instructed twenty minutes into baking. Some rimmed pans are slightly larger than others. If yours is small, don't use 1/2-1 c of the batter. 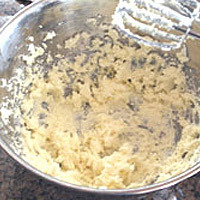 Adding ingredients too early - When preparing the batter, follow the instructions exactly. 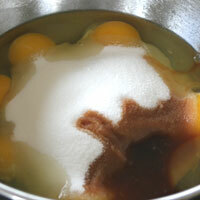 Adding the eggs when the mixture is too hot can cook them too early. 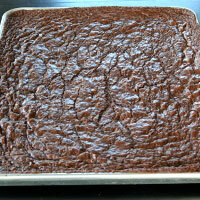 Adding the flour too early will produce a denser brownie, and adding the chocolate chips too early will melt them. Substituting - I was short on unsweetened chocolate once and used the recipe on the cocoa box (a mixture of cocoa and oil) to substitute in. They were awful. I have also made them with salted butter and they just weren't the same. I grouped the ingredients to help avoid confusion and mistakes while making them. 1. 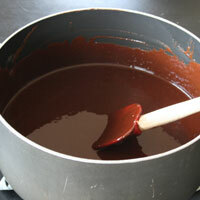 In a large pot over medium heat melt butter, semisweet (the first 12 oz), unsweetened, and bittersweet chocolates. 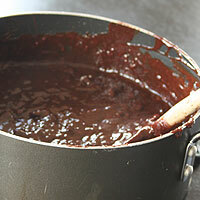 Stir consistently and don’t leave unattended, chocolate can burn easily. When everything is melted remove from heat and cool five minutes or so. 2. In a separate bowl add eggs, sugar, and vanilla. Stir roughly. Add to the melted chocolate. Stir. Let mixture cool to room temperature about 20 minutes. 3. Preheat the oven to 350. Butter and flour a jellyroll pan. Set aside. 4. 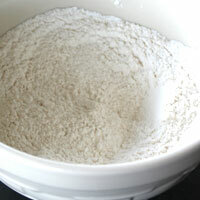 In a separate bowl add 1 ¼ flour, baking powder, and salt. Stir completely to distribute ingredients evenly and to get rid of any lumps of flour. Set aside. In another bowl mix the last 12 oz of the chocolate chips with remaining flour. Set aside. Add the first flour mixture to the chocolate mixture. Stir until flour is just incorporated. Add the chocolate chip and flour mixture and stir until just incorporated. 5. Pour into prepared pan and bake 20 minutes. Open the oven and hit the pan against the oven rack to settle the bubbles. Bake an additional 10-15 minutes. The top should be crackly and the middle (1)just set. Do not (2)overbake! Remove from oven and place on a cooling rack. Cool completely. You can slice and serve at this point or continue on with the glaze. The glaze give the brownies a great kick. Make sure the brownies are (3)at room temperature before adding it. If you're a real dark chocolate lover, use only unsweetened chocolate. I love it this way! 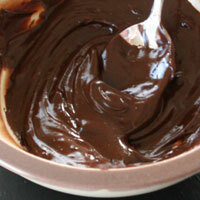 Melt chocolate in microwave for one minute. Stir and microwave 30-60 seconds more. Add butter and stir until smooth. Cool until slightly thickened. Spread on brownies. It will be a very thin layer. Slice and serve. Refrigerate extra brownies up to one week. Freeze up to six months. 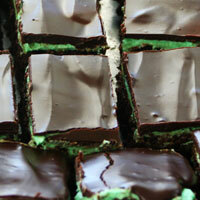 Spread mint frosting on the brownies and refrigerate uncovered for 10 minutes for the frosting to stiffen. 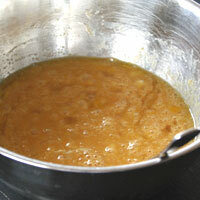 Evenly pour the warm glaze on top and gently spread over the frosting. 1. The middle should be solid, but just barely so. If it is still wobbly after the allotted time, bake an additional 3-5 minutes. 2. 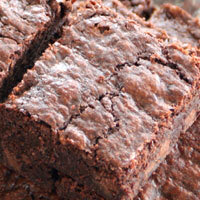 These brownies lose their flavor if even slightly over-baked. Be careful to avoid this. 3. 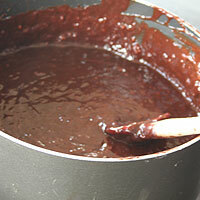 If the brownies are hot the glaze will melt into them making them a gooey mess. If the brownies are cold the chocolate will harden too fast and be hard to spread. Room temperature is ideal for spreading the glaze.